Bits and Pieces...: So Excited!!! 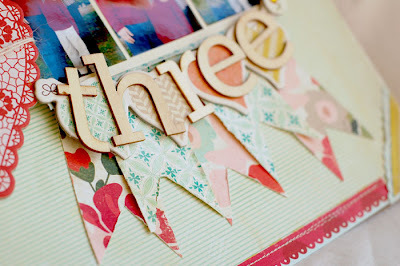 I have a couple of new projects to share with you today and some really exciting news!! 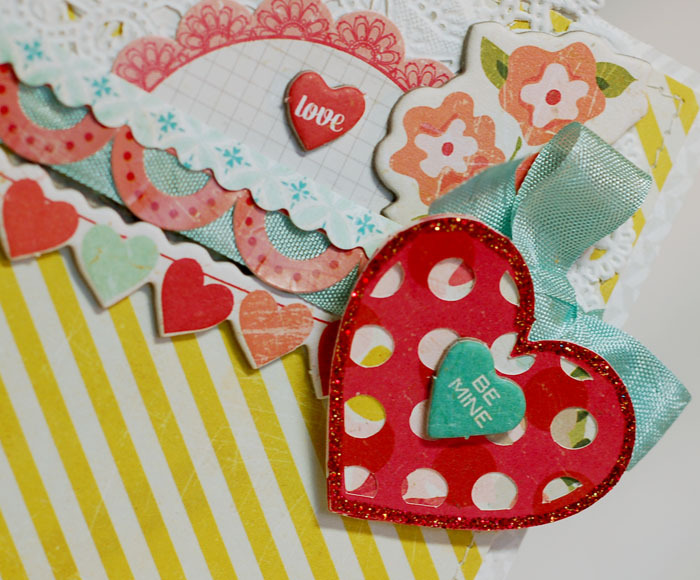 Here is a card that I made with Crate's new Paper Heart line. I created it for a challenge over at the Nook. I cut that heart with my Silhouette. (I'm totally addicted to it now, after having it sit in my scraproom for longer than I am embarassed to admit.) 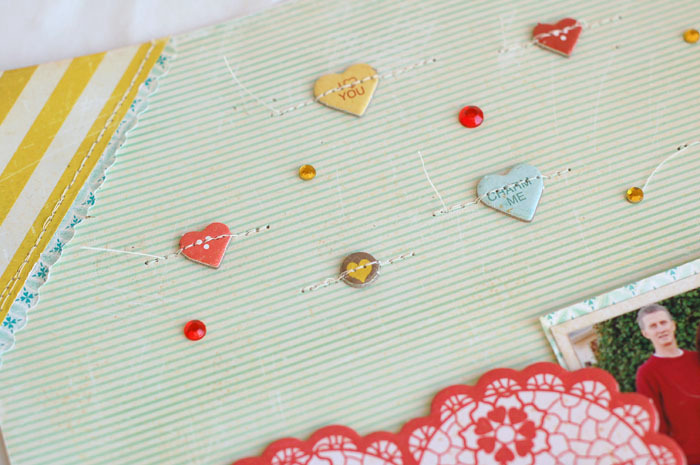 I backed it with the floral paper, added the Stickles and topped it off with the chipboard heart. Next up is a page using the same line. We took this photo on Christmas Eve and I love it. I added a bunch of little chipboard doo-dads to the top of the page and stitched over them. I was inspired by the Sunday Sketch at Studio Calico a couple of weeks ago. Then, I added the banner, chipboard and Pink Paislee letters. So, now for the GREAT news!! 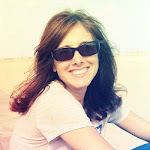 I am absolutely thrilled, honored and totally excited that I am going to be a part of Crate's Winter/Spring 2012 Design Team!!!!! You will definitely be seeing more CP proejects in the upcoming months. I can't wait to get started! Here's the ANNOUNCEMENT. Huge congrats to all of my new teammates!! And a big thank you to Crate! What a stunning LO and I love the card. I have to agree that the yellow striped paper is an all time great!Congrats Anabelle! Ohh...love your card and layout! Love the papers, made me get a summer feeling! Woohoo, so happy to see your name in that list: you simply rock everything that has Crate written on it's label:) Big congrats! I can't wait to see what you'll do with their new releases. 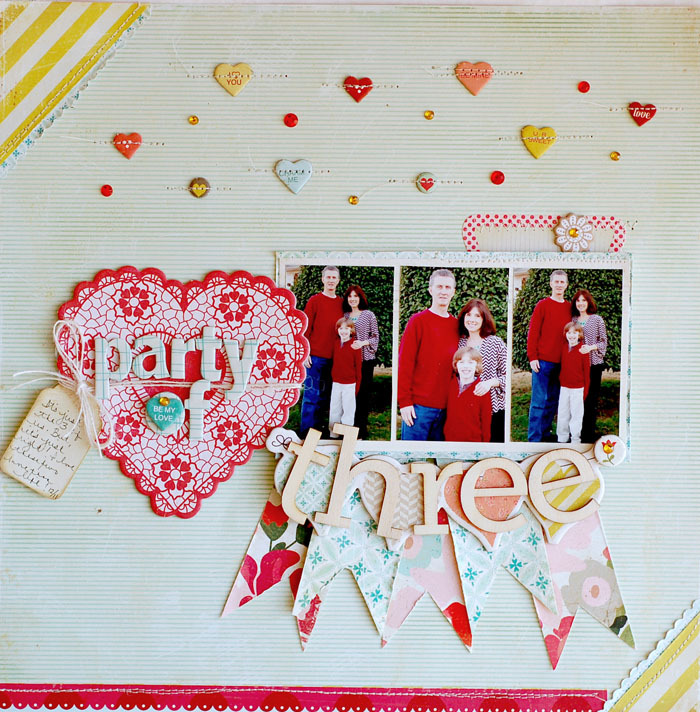 Your card and layout are simply stunning! I'm super excited for you Anabelle! I can't think of a better person to join their team! You'll rock it! :D Congrats! Love your card and that layout is amazing. Congrats, you work so well with Crate and it is fun we'll be on the team together! Congratulations! You totally deserve to be on that team! Congratulations! So glad for you. 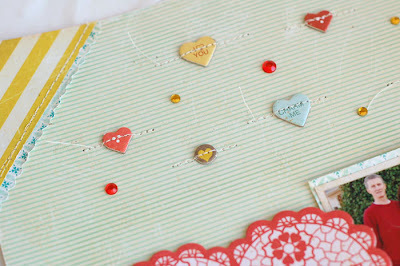 Love the card and layout and all those hearts! Huge congrats! You're absolutely perfect for Crate and I'm sure you'll continue to create magic with their collections. 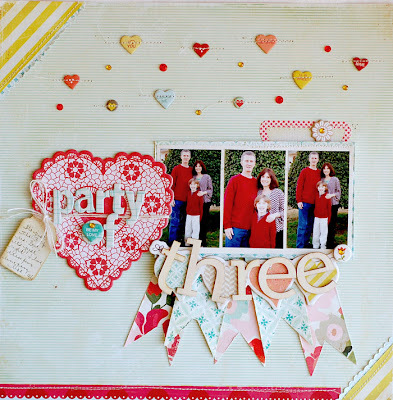 Great projects with Paper Heart! Both beautiful as usual!!!!!!! Congrats Anabelle!!!!! How exciting!! So happy for you. Congrats on the DT's (CP and WP), Anabelle! So Exciting! LOVE!!!! The color combination on these is so fabulous! Congrats on the DT!! Gorgeous work Annabelle! I love seeing your creations! these are just stunning! Big congrats on the new DT! You are such a perfect fit for Crate! What fabulous news! Congratulations, Anabelle! CHA Crunch and a Webster's Giveaway!